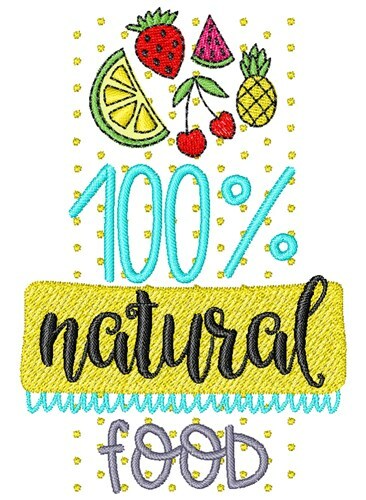 Natural foods are so good for you, share this with your friends by adding it to kitchen towels & other decor. Easy Embroidery is happy to present 100% Natural Food machine embroidery design which has 13655 stitches and is [67.64 mm x 101.26 mm] large. If you would like to view more embroidery patterns please search on our embroidery designs page.